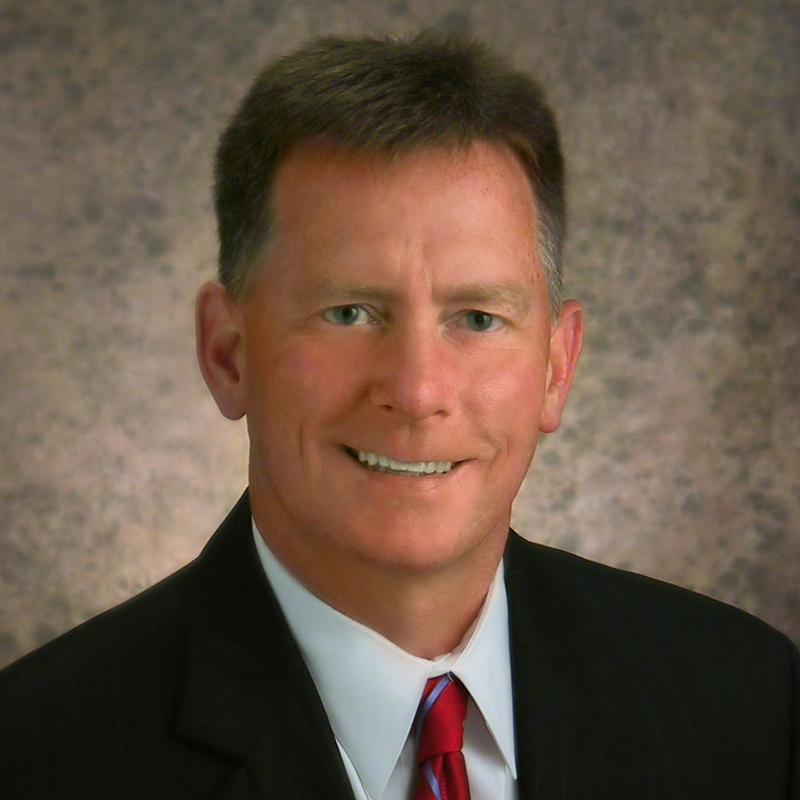 Fulton’s business community is steadily growing. The city of 13,000 has plenty to look forward to in the coming years, with a potential business boom on the horizon. 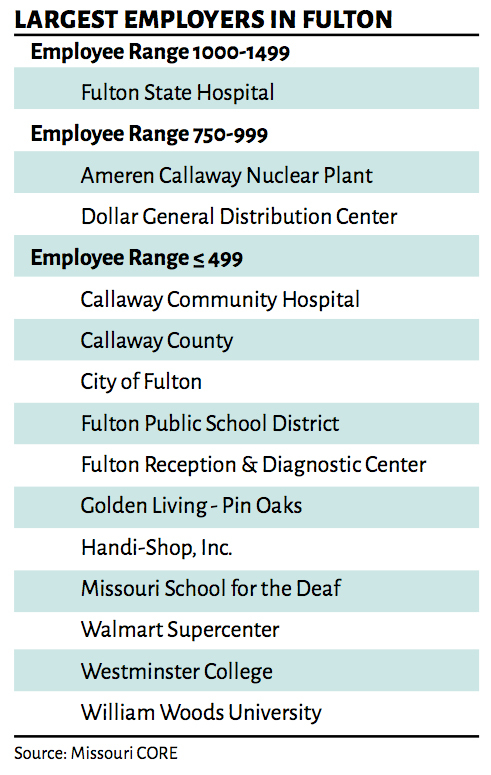 If you take into account The Callaway County Nuclear Energy Center, which has an annual payroll of $100 million and generates $3 billion a year; the planned Fulton State Hospital renovation; entrepreneurial efforts; a developing downtown; access to an essential transportation route; and the growing workforce, business is booming for this centrally located community. According to data from Missouri Connecting Our Regional Economy (CORE), Callaway County’s growth of large-sized businesses over the past decade outpaces the state average by 100 percent, effectively doubling the bar. Considering the county is tied for the lowest aggregate property tax rate in mid-Missouri, the figure isn’t surprising. As with real estate, location is everything. Just four miles from Interstate 70, the transportation artery of the Midwest, Fulton in Callaway County is the halfway point between St. Louis and Kansas City. “Especially for industrial companies, from a transportation standpoint, it is very advantageous,” says Fulton Development Corp. President Bruce Hackmann. Education, and the proximity to higher education, translates into a major driver of the economy. Fulton is home to two higher education institutions: Westminster College and William Woods University. The city is also within 30 miles of the State Technical College of Missouri, University of Missouri, Columbia College, Stephens College, and numerous vocational and community colleges. Missouri CORE also reported that Fulton’s workforce has a higher education attainment level above the state average—60 percent for the region and 58 percent for the state. The approval of funding for rebuilding Fulton State Hospital, the county’s largest employer, also suggests a boost for Fulton. Built in 1841, the hospital is the oldest mental health facility west of the Mississippi River and is the only maximum security psychiatric facility in the state. The Missouri Legislature identified the hospital renovation as a top priority. The state estimates the new facility will cost $211 million, and the Missouri Department of Economic Development forecast the project to generate more than 2,500 jobs over its three-year construction plan. Hackmann estimates 500 to 1,000 construction workers will contribute to Fulton’s economy monthly. Hackmann also reports the development corporation is in talks with two nearby global-scaled manufacturers that intend to expand operations at a Fulton site but did not release the names of the companies. Small startups and businesses are not overlooked in Fulton’s efforts to grow. When the city’s downtown growth became stagnant in the early 1990s, a group of people came together to find a solution. The Brick District, so named for the brick streets and historic buildings, was formed. The group has taken on the task of revitalizing the area to attract more independent and small, local businesses to the storefronts. Show Me Innovations Center, born out of Fulton Area Development Corporation’s desire to broaden economic development initiatives and entrepreneurship, is being built in the old police station on Market Street. The innovation center provides an opportunity for new business owners to work with experienced business owners who can mentor them and give them the type of support they need to reach the next level, Hackmann says. With the potential expansion of two global manufacturing companies to the city of 13,000 on the horizon and the state hospital plans approved in February, there isn’t anywhere to go but up.